Commissioning Agent: Atlanta Beltline, Inc. 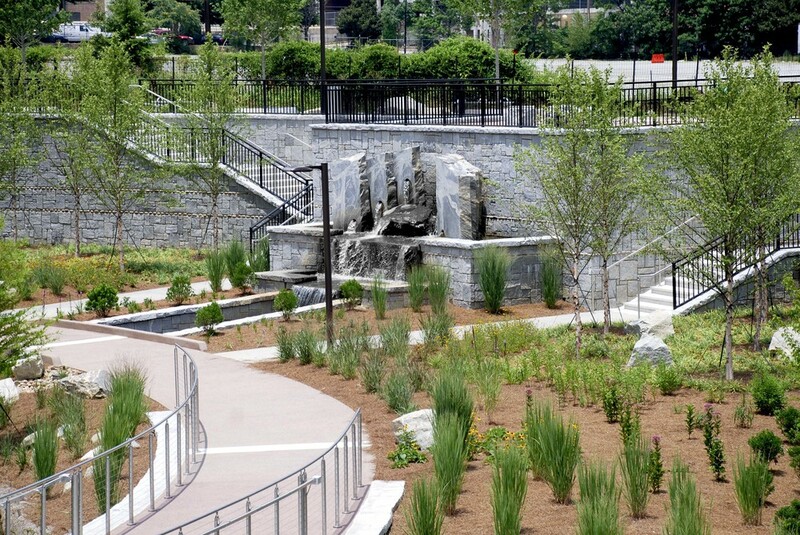 Description: Atlanta Beltline Inc., commissioned Artemis to work with the landscape architecture and engineering firm HDR during the planning phase for the Clear Creek Storm Water Relief Project and Park. Through the design process, three park locations were designated for her site-integrated work: The Sculpture Plaza, the North Plaza Fountain and the Water Wall. 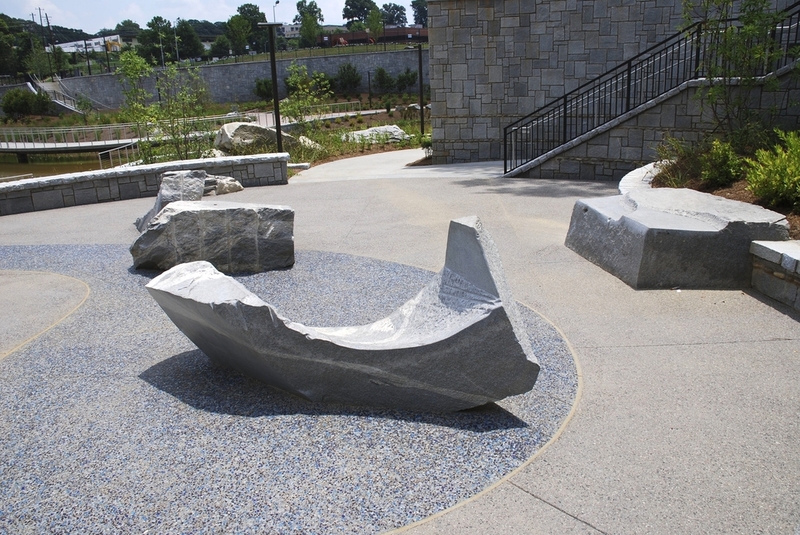 The Sculpture Plaza: Elements used to define the space of the terraced West Plaza and its relationship to the park beyond include special paving and large granite quarry stones. Six of the twenty-six stones in the plaza are carved, inviting interaction. Four of these are fitted into the lowest wall marking the edge of the plaza. 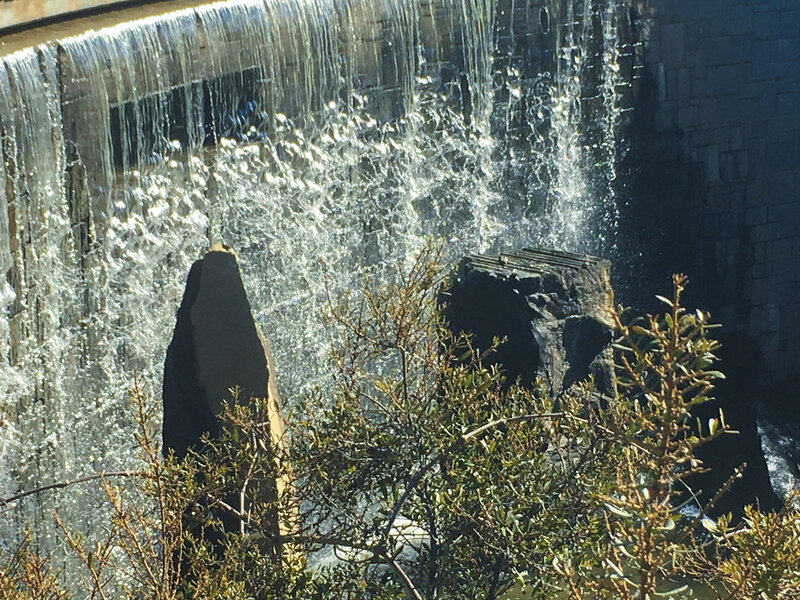 The Stones Defining theNorth Plaza Fountain are seven vertical granite stone slabs each drilled so that water flows through the stone from the bottom and out at an angle towards the off centered rough stone basin, also emitting water. The fountain echoes the dual nature of the project itself - Storm Water Relief Project and Park. 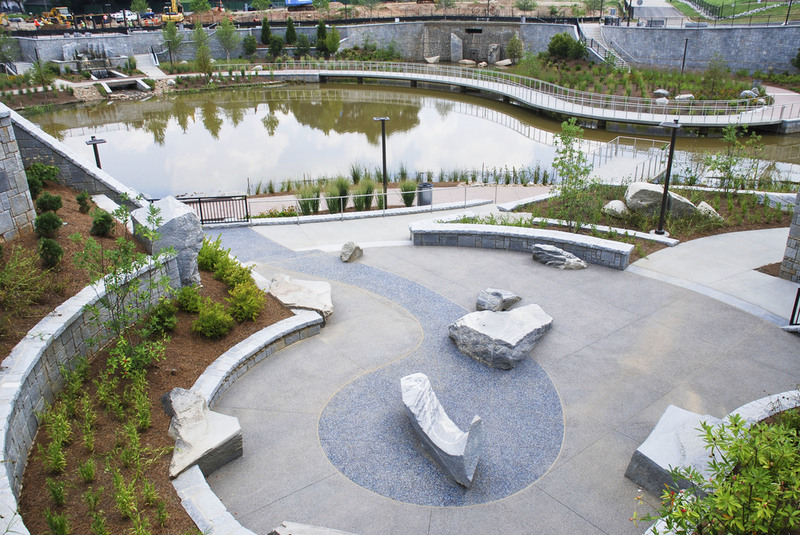 As a focal point in the overall park environment the North Plaza Fountain also serves the environmental function of aerating the pond water, improving its quality before it is returned to the river in a measured way. 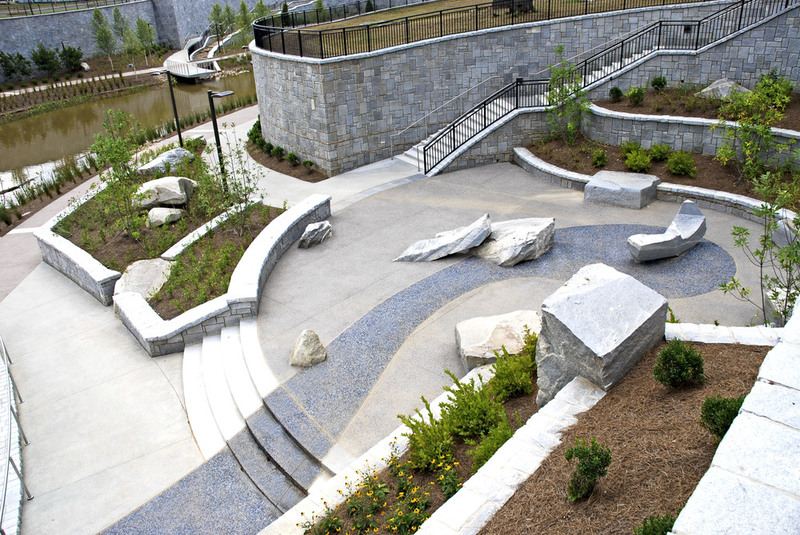 The Water Wall stone elements are six large quarry stones punctuating the 30ft long, 17ft high water wall. This feature serves the same function as the North Plaza Fountain, as well as providing an engaging visual spectacle from several vantage points around the park.